The mission of West Allegheny School District, a leader in quality education, is to ensure that each student acquires the necessary knowledge and skills to be a responsible citizen, prepared for life-long learning and employment; this is accomplished by providing meaningful and personally challenging learning experiences within a safe, nurturing environment in partnership with family and community. 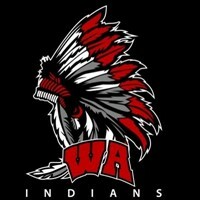 The West Allegheny School District will create a learning environment in which students maximize their potential and achieve success in a cooperative partnership with students, parents, staff, administration, and community through a positive, supportive, caring climate which promotes the dignity of all individuals. · Quality education is essential to sustain our democratic society. · Education benefits people throughout their lives. · Every person is valuable and worthy of respect. · All people can and want to learn. · Quality education is a shared responsibility among students, family, school, and community. · Higher expectations lead to higher performance. · Family support provides a strong foundation for individual learning. · Each individual is unique and capable of reaching higher levels of performance given the proper conditions.